Our New Jersey bankruptcy lawyers represent creditors in filing motions for relief from the automatic stay created by a bankruptcy filing. The automatic stay is a unique feature of Section 362 of the Bankruptcy Code that creates an automatic injunction prohibiting certain creditors, with certain exceptions, from pursuing collection actions against the debtor. Pursuant to Section 362 of the United States Bankruptcy Code, the stay begins at the moment the bankruptcy petition is filed. Creditors may, however, petition the bankruptcy court for relief from the automatic stay upon either a showing of cause, such as the lack of adequate protection, or that the property sought to be recovered is not necessary to the debtor’s reorganization. In 2005, Congress added two important exceptions to the automatic stay provisions. These exceptions concern landlords seeking to evict tenants. First, any eviction proceedings in which the landlord obtained a judgment of possession to the filing of the bankruptcy petition may be continued. Second, eviction proceedings filed after bankruptcy proceedings are exempt if the proceeding involves evicting the tenant on the basis of using illegal substances or “endangerment” of the property. Pursuant to the new provisions of the Bankruptcy Abuse Prevention and Consumer Protection Act, certain restrictions were added to Bankruptcy Code Section 362. If the debtor had a case dismissed in a case pending during the year before the bankruptcy case was filed, the automatic stay will expire to a certain extent unless the debtor obtains an order extending it within one month. If the debtor had two cases pending in the year prior to filing, the automatic stay does not go into effect unless the debtor files a motion. Are you creditor requiring assistance in prosecuting a motion for relief from the automatic stay to pursue recovery of property or other secured collateral? 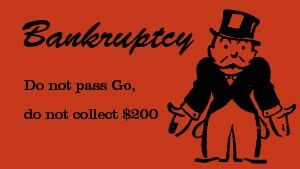 Our bankruptcy litigation attorneys are here to help. Contact our experienced bankruptcy lawyers today to discuss your case. One of our lawyers will respond to your inquiry within 24 – 48 hours. For urgent matters, please contact us at (201) 498-0400.